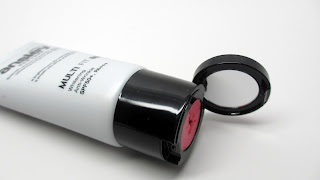 The first BB cream is a combo product that includes a cream blush on the cap. Love that! It's a really nice, super pigmented bitten cherry shade. Use sparingly on fair skin tones because I assume that's who will use it since the BB cream itself was vary fair. I just use my fingers to tap and blend the products onto my cheeks. I usually have a problem finding Asian BB creams that match my tan skin tone...as you can see this one is fairly light. 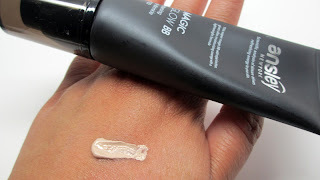 It's got a medium coverage consistency which is a great substitute for foundation. For those of you not familiar with BB Creams, they offer coverage, as well as moisturizing, spf, and whitening properties all in one. 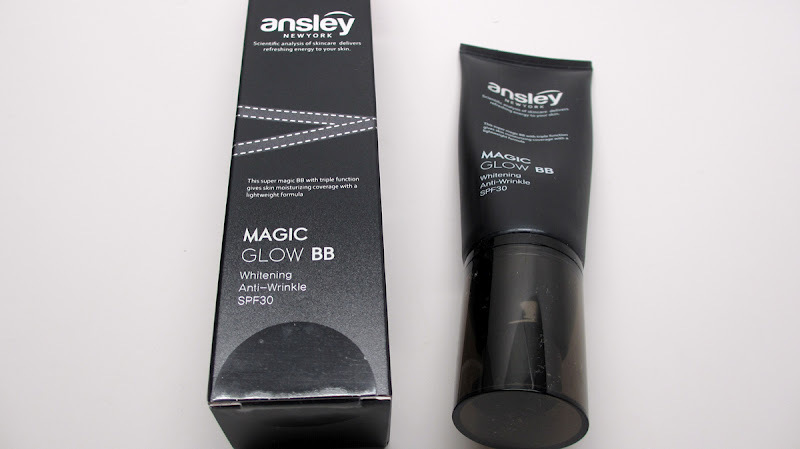 This Magic Glow BB is pretty nifty because it's in a squeezy tube container but still comes with a pump. 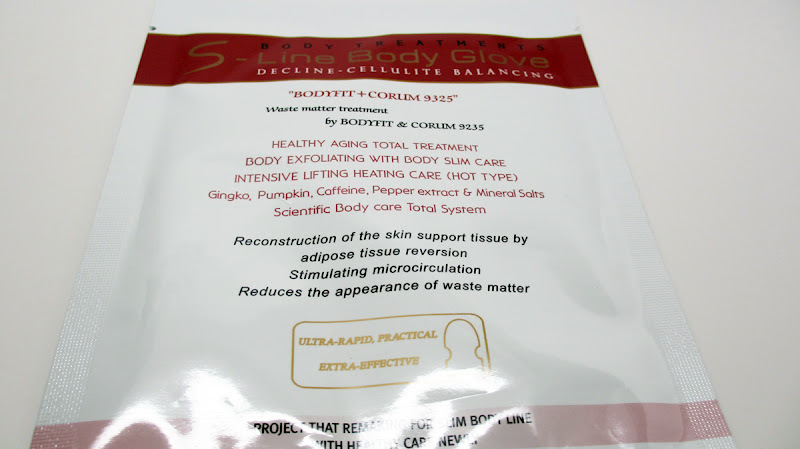 It has a thicker, high coverage consistency. 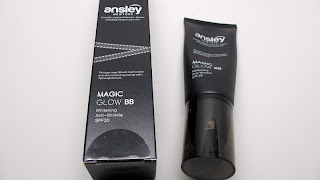 Still a bit too pale for me but great for fairer skin tones looking for more coverage. 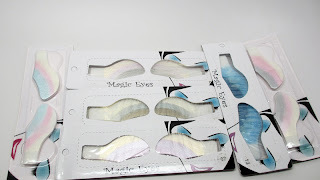 I've seen something similar to this before...basically they are little stickers with eyeshadow applied on it to simulate how they would look on the eye. 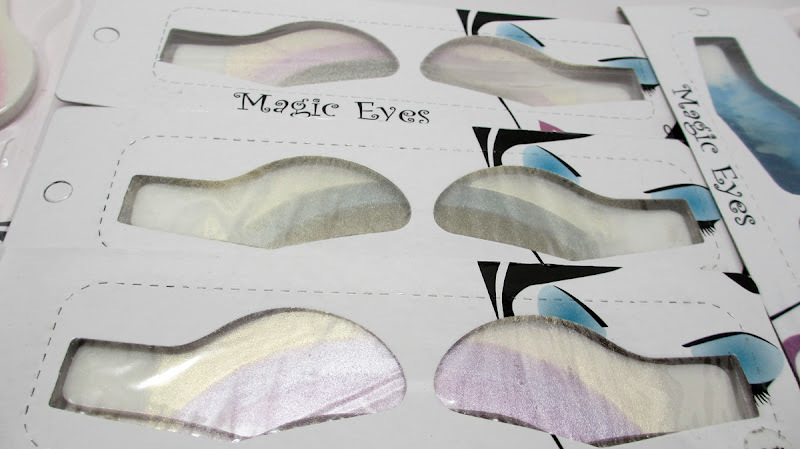 As you can, the lightest on top fades into the darkest just like a traditional smokey eye. However, I'm a traditionalist and prefer to apply my makeup the old fashion way with brushes and shadow, once color at a time. 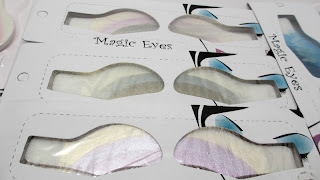 I think these are fun for kids and adolescents playing with makeup. 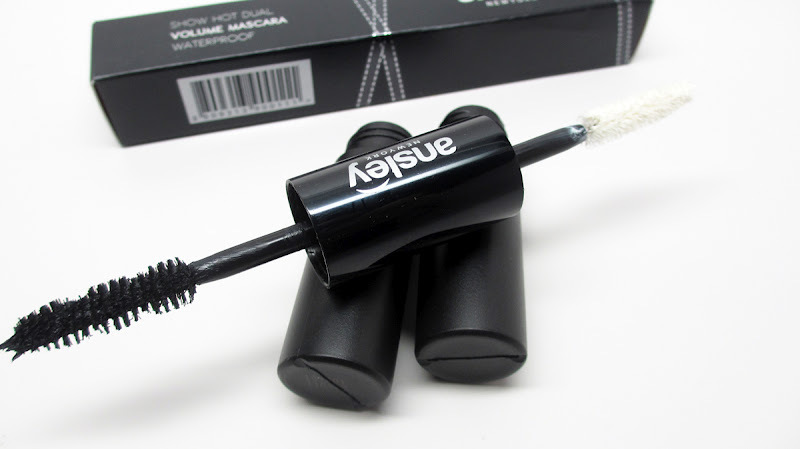 This volume mascara comes with a primer on one end, and mascara on the other. I like the two-in-one feature. I found the packaging to be a bit bulky. The primer/mascara combo worked okay...no dramatic volume but great for everyday. My favorite product I reviewed by far, were the lashes. 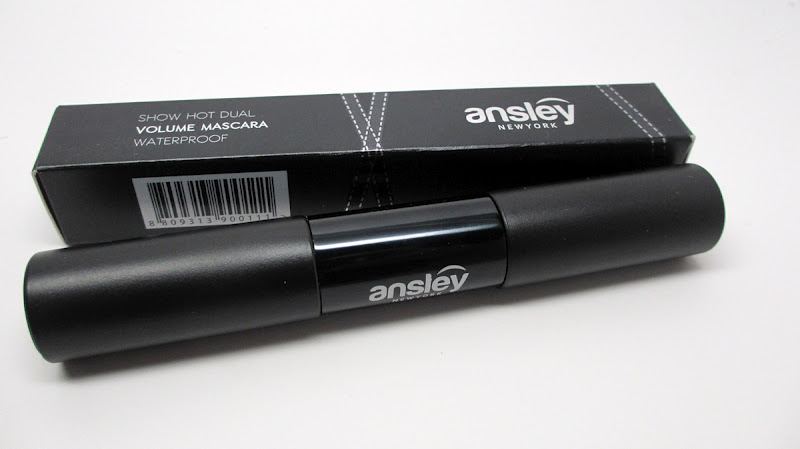 I'm a fan of asian brand lashes. 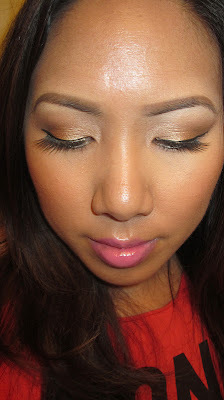 They have the right thickness to show up on my monolid shape that tends to swallow lashes lol. 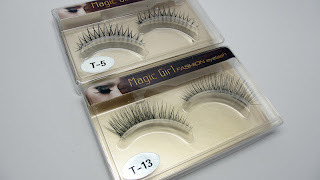 I like the criss-cross style and check out style T-13: it has thicker volume on the outside, giving a gorgeous cat eye look. Here's a shot of me with the lashes. 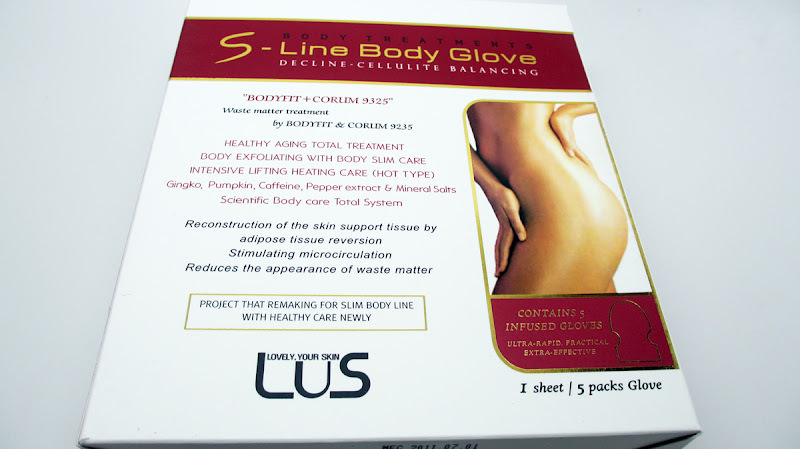 I got a bunch of these Body Gloves which are supposed to help detox and eliminate cellulite. However, I have super sensitive skin and was a little wary to try them out. I think i'll try it out on my boyfriend if he lets me, ha! You can find these products at www.glowandglamour.com . 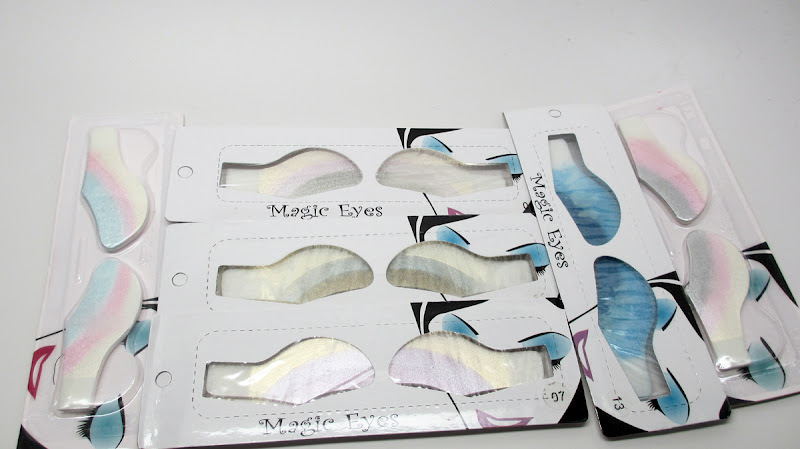 They're also currently hosting a Circle Lens giveaway on their facebook page. Check it out!